Arup Raha, a veteran fighter pilot, took over as the 24th chief of the Indian Air Force (IAF) on 31-12-2013, succeeding Air Chief Marshal N A K Browne. Born on December 26, 1954, he will remain the IAF chief for three years. In a brief ceremony, Arup Raha, 59, assumed the charge of the air force from Browne in presence of senior officers, including new Vice Chief of Air Staff Air Marshal R K Sharma and Deputy Chief Air Marshal S Sukumar. Commissioned on December 14, 1974 in the fighter stream of the IAF, Rahahas held various command, staff and instructional appointments in his 39-year-old career. He has also served as Air Attache at the Embassy of India in Ukraine. He has also done Strategic Nuclear Orientation course and Junior Commanders course. He has commanded Central Air Command and Western Air Command. India beat Pakistan 48-39 to emerge champions of the fourth World Cup Kabaddi played at the Guru Nanak Stadium, Ludhiana on 14-12-2013. The Indian men’s kabaddi team successfully defended their title at the 4thKabaddi World Cup in a repeat of last year’s final as they beat Pakistan in Ludhiana (Punjab). Besides, the winner’s trophy, the hosts bagged a cash award of Rs two crore while Pakistan got the runners-up trophy and Rs onecrore. Dulla Bagga Pind was adjudged the best raider and Pala Jalapuria was named the Best Stopper. JALANDHAR (Punjab): India clinched the women’s Kabaddi World Cup championship for the third time in a row, defeating debutant New Zealand 49-21 in the summit clash played at Guru Gobind Singh sports complex on 12-12-2013. It is the fourth edition of the World Kabaddi Cup. The Indian team took home a first-place prize of Rs one crore. AnuRani was adjudged the best stopper while Ram Bateri was declared the best raider. Both received a Maruti Alto car each. CHENNAI: World Chess Championship 2013 – 22-year-old Magnus Carlsen(Norway) became the new world chess champion as he defeated defending champion Viswanathan Anand. Five-time title-holder Viswanathan Anand’s reign as the world champion came to a heart-breaking end on Friday with Norway’s Magnus Carlsen taking the crown after a hard-fought draw in the 10th game of the World Chess Championship match, which ended on Friday (November 22, 2013). Carlsen, who will be 23 years on 30th November, closed the championship with two games to spare by taking his tally to required 6.5 points out of a possible ten, winning three and drawing seven games. Viswanathan Anand had won the world championship title five times – 2000, 2007, 2008, 2010, 2012 – but ironically was dethroned in his home town of Chennai. Anand said he is “disappointed” and said sorry to his fans. “I was simply not able to execute my strategy,” he added. 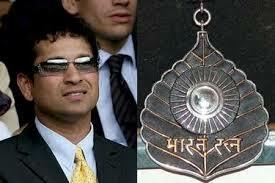 Sachin Tendulkar becomes the first sportsperson to receive the country’s highest civilian honour (Bharat Ratna). Sachin Tendulkar has inspired millions across the globe. During the last 24 years, since the young age of 16 years,Sachin has played cricket across the world and won laurels for India. Bharat Ratna will also be conferred on eminent scientist ChintamaniNagesa Ramachandra Rao. C.N.R. Rao is an Indian chemist who has worked mainly in solid-state and structural chemistry. He currently serves as the Head of the Scientific Advisory Council to the Prime Minister of India. Prof. Rao has published over 1,400 research papers and 45 books. Prof. Rao’s contributions have been recognized by most major scientific academies around the world through conferment of memberships and fellowships. He has been honoured with several national and international awards.